Looking for a powerful Chevy Silverado 3500 for heavy duty work in Oklahoma near the Perry, Stillwater, Enid or Guthrie areas? Vance Chevy Buick GMC in Perry, OK is a short 30 minutes from Guthrie, Enid and Stillwater. We offer small town friendly service with a big city inventory. Discover the most powerful tool you’ll own in one of our new or preowned Chevy Silverado 3500 trucks. It will work hard for you no matter what job you have for it. It will help you get the job done. The Silverado 3500 is legendary for its capability, dependability and durability. Silverados are the longest lasting full size pickup on the road. They are built to last. The Silverado 3500 can handle heavy hauling, towing and driving on rough terrain and steep roads with its Tow-Haul Mode that adjusts the transmission to reduce shift cycling. This truck is a work horse that loves to tackle tough jobs with its maximum available towing capacity of 23,100 lbs, available max 445 HP, and max available torque of 910 lbs-ft.
To help you stay in control while doing heavy work, the Silverado 3500 has a standard Vortec 6.0 L V8 which can handle up to 14,200 lbs or an even greater load of 23,100lbs with available Duramax 6.6 L Turbo diesel V8 engine. If you need a tough truck that can handle almost any workload, check out our selection of Silverado 3500 Chevy trucks. 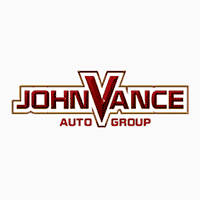 The Vance Auto Group has been dedicated to serving satisfied Oklahoma customers for over thirty years. We always make customer satisfaction our number one goal. If you are looking for a truck that will haul a boat, travel trailer, construction or farm equipment, the Chevy Silverado just might be your perfect solution. Come see why we are known for our friendly honest help in finding the right vehicle for your needs. Since Vance Auto group has nine full service dealerships, we have a huge inventory of preowned trucks to choose from and our Chevy dealership in Perry has a complete line of new Silverado 3500 trucks to select from. Come see us in Perry. Shop our website or call us.